​Ian is one of Melbourne's leading Broadway/musical theatre vocal coaches. His students can be heard in professional and amateur productions across the country and around the world. He holds a master's degree in musical theatre, a bachelor's degree in drama, an AMusA in flute performance, and a Graduate Certificate in Higher Education. His honours thesis was entitled Transposition in Jonathan Larson's RENT, and his master's examined Jason Robert Brown's early-career compositional techniques. He is currently Vice President of Waterdale Theatre Inc. and sponsors the annual Stephen Sondheim Award at the Eisteddfod by the Bay. In his spare time he is in the final semester of his PhD in musical theatre at Monash University. Ian has been an active member of the Melbourne theatre community for close to twenty years in such varied roles as Jesus Christ Superstar (Flute), Chicago (Mary Sunshine), Oklahoma! (Chorus Master), Finian's Rainbow (Flute/Piccolo), The Sound of Music (Flute/Piccolo), Barnum (Ringmaster), Hook: The Pantomime (Flute), RENT (Musical Director), Into the Woods (MD), the Victorian amateur premiere of Parade (2007 Revised Version - MD), Sweeney Todd (MD), The Witches of Eastwick (Michael Spofford), The Producers (MD), Grease (Vocal Coach), Little Shop of Horrors (Flute), Sticks and Stones: A New Musical in Workshop (Vocal Coach), Ragtime (Flute/Piccolo), SPAMALOT (MD), and Urinetown (MD). ​​​Shelley studied Music Performance on voice at the Victorian College of the Arts. An experienced singer and multi-instrumentalist, she has taught singing, piano and woodwinds for many years and performed all over Australia. 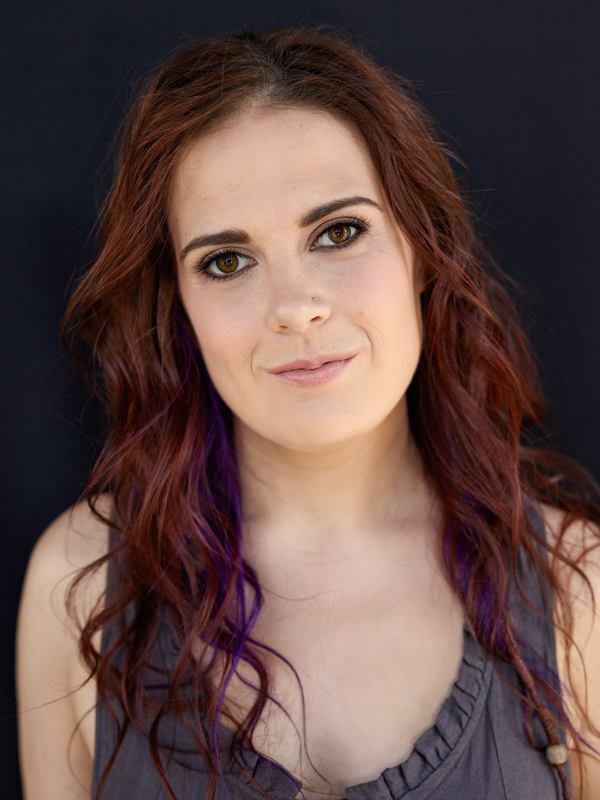 She was a founding member, arranger and occasional songwriter for a cappella group Blue Notion, whose self-titled album recently came runner-up for Best Album in Vocal Australia's PLAY awards. Shelley also spent several years singing with VoxSynergy under the direction of Kathryn Sadler. She has trained with members of The Real Group, The Idea of North and Tripod. Shelley is also no stranger to musical theatre having performed both onstage and in orchestra pits, many times, as well as musically directed several productions. Some highlights include The Boy Friend (Maisie), Grease (Jan), Fiddler On The Roof (Shprintze), Fame (Serena), Les Misérables (Ensemble), Into The Woods (Rapunzel), Seussical (Flute), Jesus Christ Superstar (Reed), The Wedding Singer (Keys), Young Frankenstein (Reed), Little Women (Percussion), The Producers (Keys), Hairspray (MD), The Pirates Of Penzance (co-MD), and Avenue Q (MD). Omar is an experienced singer, having studied and performed for many years across several genres. His involvement in musical theatre began in the Victorian Youth Theatre’s musical theatre ensemble program. He was a member of the Melbourne vocal ensemble Choristry for several years, singing on their two albums, ‘Folksong’ and ‘Aurora’, and has sung under several of Australia’s prominent choral directors, including Trevor Jones and Dan Walker. Omar has been involved in musical theatre for almost twenty years, working both on and off the stage in shows including Oliver! (Ensemble), Joseph and the Amazing Technicolor Dreamcoat (Reuben), The Wizard of Oz (Ensemble), Bugsy Malone (Knuckles), Return to the Forbidden Planet (Cookie), Finian’s Rainbow (Ensemble), The Scarlet Pimpernel (Percy), Spamalot (Not Dead Fred), Jesus Christ Superstar (Judas), Into the Woods (Baker), Seussical Jr. (Vocal Director), Mulan Jr. (VD), Seussical (co-MD) and The Addams Family (VD). ​Benjamin moved to Melbourne in 2011 to study at the VCA Secondary School. He continued his studies at Patrick Studios Australia and has recently graduated from WAAPA with a Bachelor Arts in Music Theatre. In addition to his commercial studies, he has an extensive background in classical music, including several years training on scholarship with Opera Scholars Australia. He currently works with their associate company, Australian Music Events as a guest writer. He is also presently engaged in creating new performance opportunities for developing artists with the Royal Melbourne Hospital's Department of Music Therapy. Benjamin is an avid composer and writer, with a passion for championing the advancement of the home-grown performing arts industry in Australia across the fields of music theatre, opera and theatre. His music theatre credits include Chicago (Aaron), 42nd St (Bert Barry), Heathers: The Musical (Kurt’s Dad), RENT (Ensemble), Bring It On: The Musical (Truman), Atlantis (Ensemble) for WAAPA; Spring Awakening (Adult Male) for PSA; Little Shop of Horrors (Seymour) for Livid Productions; Beauty and the Beast (Ensemble) and The Pirates of Penzance (Ensemble) for AWTCo. His opera credits include Dido and Æneas (First Sailor) for VCASS; Carmen (Ensemble), Opera in the Alps (Ensemble), Opera in the Market (Ensemble) and Opera in the Caves (Ensemble), for OSA and AME.